Set of three pave set diamond rings with colored diamonds. 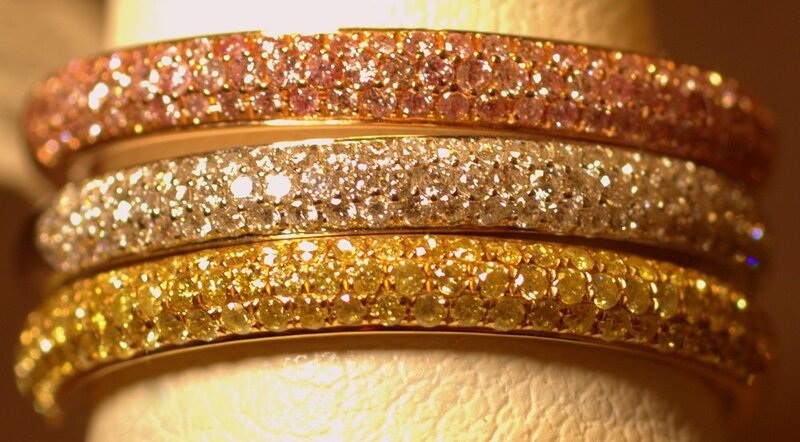 Pink diamonds on rose (pink) gold, white diamonds on white gold and canary yellow diamonds on yellow gold. The look was made famous by Cartier in their trinity collection. Each ring has about .50 carat of colored diamonds and as a set make a very impressive look! 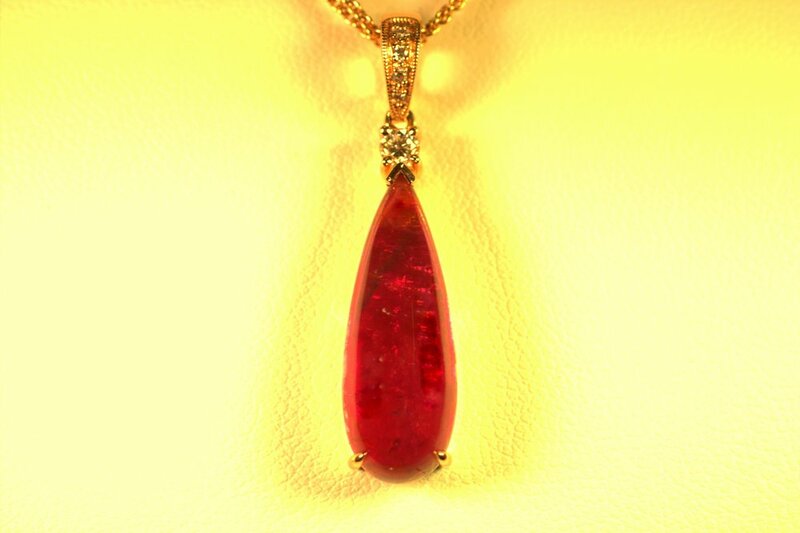 Great pop of color and it matches all her other jewelry.